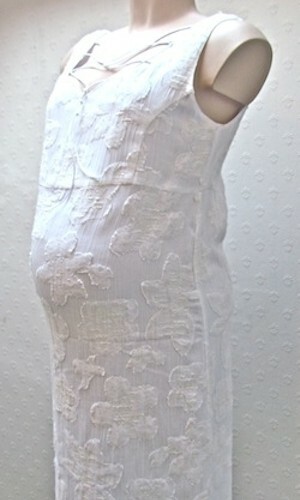 This beautiful white summer maternity dress by Sara will make you and your bump look amazing! 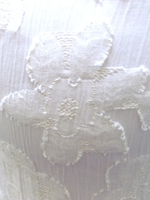 Perfect for a summer wedding, christening, or other special occasion. Sized as a Small, it measures 42in from shoulder to hem, 18in underarm to underarm, which sizes as an 8. Made from 52% Viscose, 29% Cotton and 19% Linen.